Rarely do you find jewelry that suits so many so well. Saskia Larraz Designs collection of bracelets, necklaces and earrings evoke a simple yet elegant feeling, spicing up jeans and a T-shirt or the adding the finishing touch to a formal ensemble. 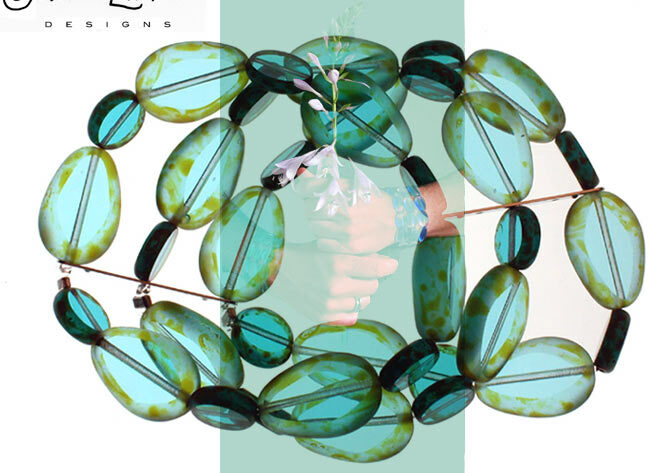 The array of colors and styles found in the glass beads themselves are what create this flexibility. As you delve into our website, imagine how stunning our cherry red bracelet and choker would look on your next dinner date and then imagine that same duo worn with less formal outfit. It is truly amazing. What’s more, the range of ages that can wear our designs is limitless. From teenagers to sophisticated adults, each piece takes on a different look depending on the style of its wearer. Once you get your first piece you will want to own them all…have fun browsing, we look forward to hearing from you.